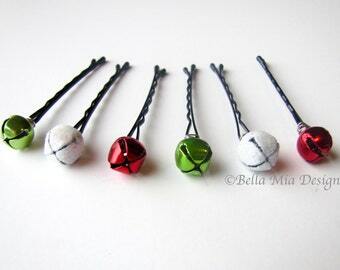 Add some sparkle to your holiday hairstyle with these little bell bobby pins in silver. There is a mix of shiny, matte, and glittered silver toned bells. 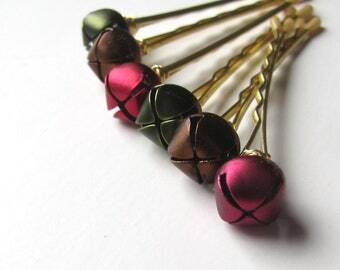 You can choose your bobby pin color to coordinate with your hair. Black, brown, or matte gold/blonde are available. These little bells are about 3/8" across (9mm). They will be wired onto a 2" bobby pin, using silver toned wire. Happy Holidays from Amy at Bella Mia Design! 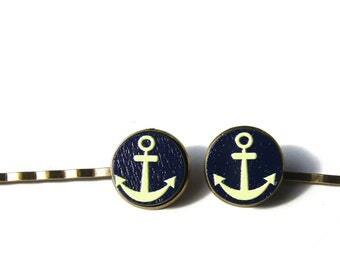 These are the perfect amount of sparkle I was looking for regarding my hair for my wedding. The seller included an extra pin for me, which was so thoughtful! !